I made a New Year’s resolution this year NOT to watch reality television. 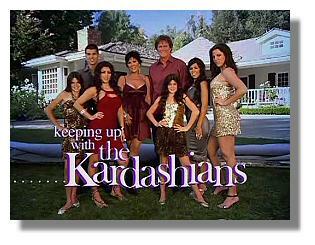 As an avid but stealth viewer of “The Kardashians” and their spin off series as well as a steady viewer of Bravo’s “Housewives” shows, I felt I had to sever or at least limit my viewing of reality shows or it could take over my life. My relationship with reality television had to change. I had to be in control again of the television remote. I needed to change my viewing habits. So how to keep my resolution? My bargain with myself allowed for a weaning off period. I couldn’t and didn’t want to go “cold turkey”. The deal I made allowed me 5-10 minute spurts at a time of viewing my favorites and resolved not to get started with any new shows. Thus far, I have accomplished my goal of not having my life taken over by reality TV, but it’s an uphill battle. And here’s the rub. I live in New York. I’ve worked in fashion my entire life and I am an observer of the relationship among fashion, culture, the economy and the world. The big Kardashian/Humphries wedding is fast approaching and every entertainment show, fashion magazine and tabloid is gearing up for the event. So how can I not be. First, there was the engagement and the ring, then whispers about the location, now the celebrity guest list, and eventually there will be the great reveal, THE DRESS (Kate Middleton watch out!) and the wedding. So who’s winning the competition? It’s probably too early to tell. We’re more than halfway through this year and approaching yet another New Year and resolution. Is there a statue of limitations on resolutions? Or does one start afresh and abandon last year’s resolution? 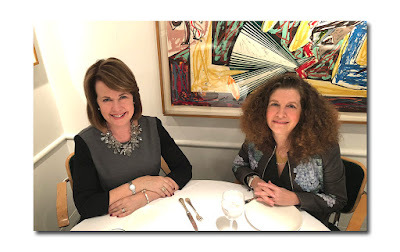 Meet our newest contributor: Tricia Kenney is an independent fashion editor, writer and marketer whose work has appeared in national consumer and trade publications. For ten years she was a creative director at Creative Marketing Plus, where she won two Communicator Awards. She has been a fashion editor at Glamour Magazine and a Fashion Director at Macy’s. 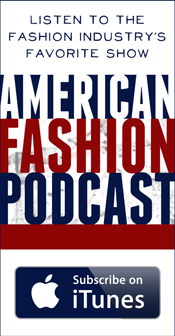 A native New Yorker, Kenney is a frequent commentator on fashion, lifestyle and culture.